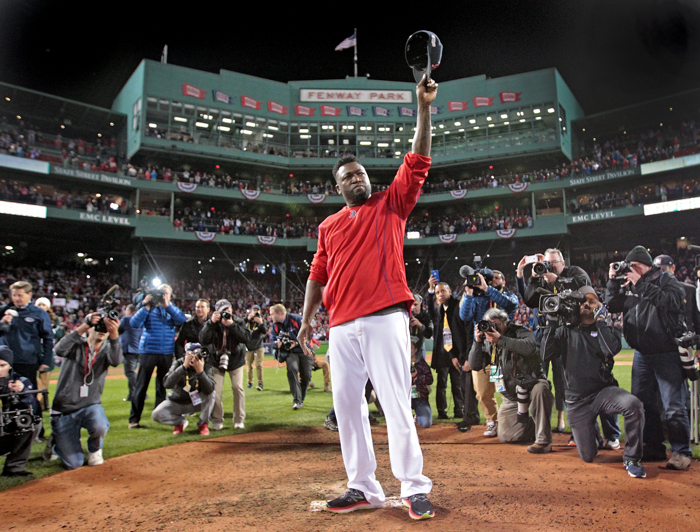 Boston Red Sox designated hitter David Ortiz raises his hat in an impromptu goodbye to his fans after his last regular season game at Fenway Park on Monday, October 10, 2016. 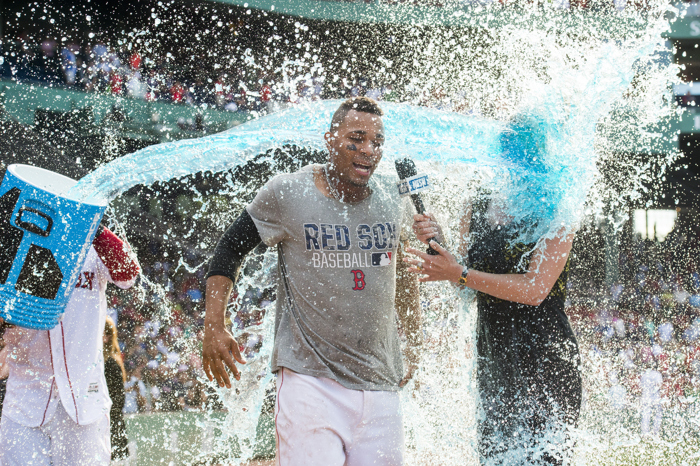 BOSTON, MA – JUNE 23: Xander Bogaerts #2 of the Boston Red Sox and NESN reporter Guerin Austin are doused in Powerade after Bogaerts hit a game-winning single against the Chicago White Sox in the tenth inning on June 23, 16 at Fenway Park in Boston, Massachusetts. 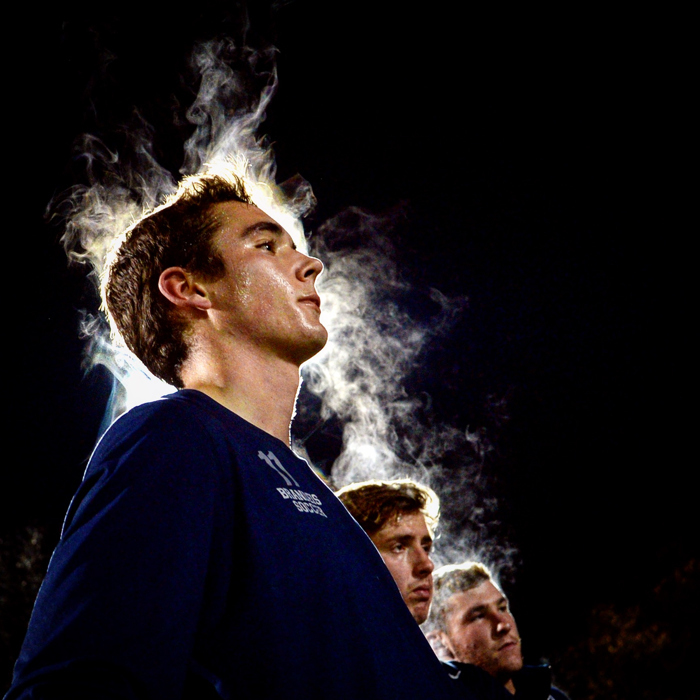 BOSTON, MA – NOVEMBER 19: A naked Yale fan is scolded by a police officer for taking his clothes off as part of a long-standing tradition of mooning the field of play during the football game between the Yale Bulldogs and the Harvard Crimson at Harvard Stadium on November 19, 2016 in Boston, Massachusetts. 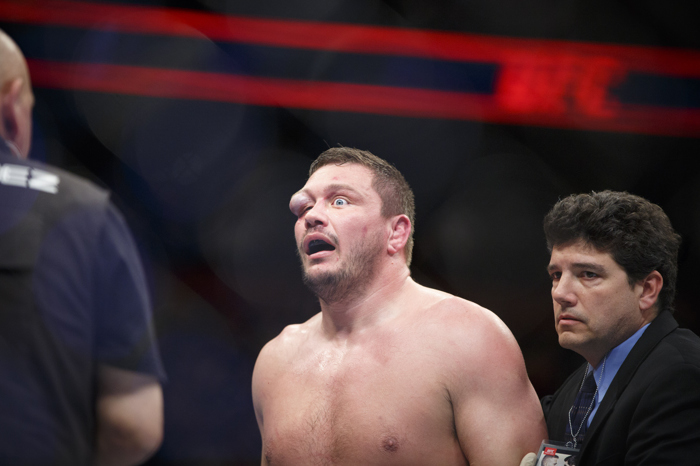 1/17/2016 – Boston, MA – TD Garden – UFC fighter Matt Mitrione, reeled from a nasty blow to the eye that left him temporarily blinded and disfigured. His opponent, Travis Browne, won the match. They faced off during UFC Fight Night: Dillashaw vs. Cruz on Sunday evening, January 17, 2015 at the TD Garden in Boston, MA.